My new website is in construction and I can't wait to share it with you all. The word mandala means circle or wheel in Sanskrit, an ancient Indian language from the Vedas. 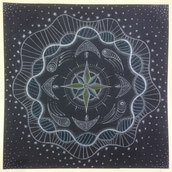 A mandala represents the universe and it's dynamics being a reminder of the interconnection unity and harmony. 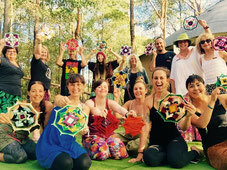 There is a number of positive outcomes from working with mandalas. They remind us of the origin. Looking for something new to give to your loved ones in Christmas? "Adriana holds space with sacredness and love. 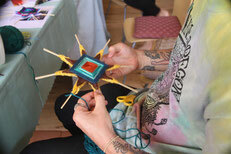 The two-day 'Great Mandala' weaving weekend was a deeply healing process for me, and brought grace and wisdom into a deeply challenging time in my personal journey. 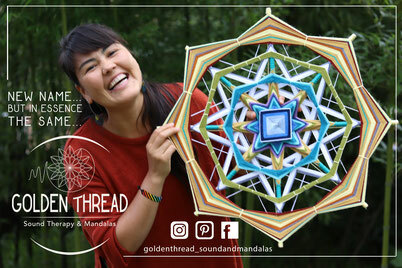 Since the workshop i have ready woven another mandala at home! Thank you so much for your precious gifts, sister"